I am somewhat biased when it comes to Melbourne. I can’t help but love this city. I’ve been having a love affair with it for 15 years now and a year ago I finally moved here and now call this amazing city home. But don’t just take my word for it. Others think this city is great too. It was recently voted the world’s most liveable city for the third year in a row. 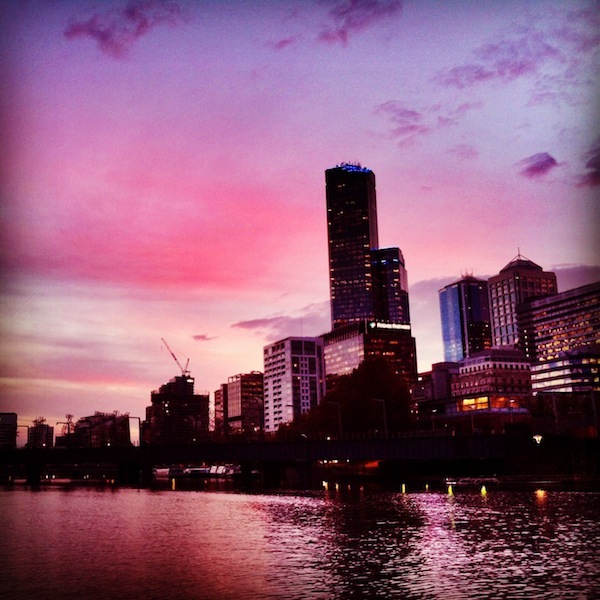 So what are the must do things you should add to your Melbourne bucket list? The Queen Victoria Market is a must (www.qvm.com.au) – it’s a huge bustling market, full of colour, life and amazing smells. The food court is especially worth a stop and the queues at the various stalls are testament to the great range of food you can get. The main market sheds sell anything and everything – from fresh produce, clothing, souvenirs, to all sorts of other bits and bobs. Along the same lines Melbourne is a mecca for foodies. There are all kinds of restaurants and various suburbs around the city seem to specialise in various cuisines. It’s definitely not a city for those trying to watch their weight! One of the main things I love about Melbourne is that it has a great live music scene. There are lots of bars/clubs/working men’s/social clubs in areas like Northcote, Richmond, Fitzroy, St Kilda or Brunswick that have some great bands playing. Most of the time it is either free entry or a small ticket cost so well worth checking out. You’ll even find some of the larger bands, who play to tens of thousands in places like the UK, playing small intimate venues around Melbourne. Some venues to check out are The Corner Hotel, The Northcote Social Club, The Esplanade Hotel, and the Thornbury Theatre. For those art lovers out there then a stop off at the National Gallery of Victoria should be on your list. You can easily lose track of time and spend a few days wandering the halls and rooms, amongst stunning works of art by national and international artists. As well as the permanent exhibits, they do have various shows on throughout the year so well worth checking out what they have on when you are in town. Go to www.ngv.vic.gov.au for more info. For the best view over Melbourne, you have to hit up the observation deck on the Eureka Skydeck on the 88th floor of the Eureka Tower on Melbourne’s Southbank. The 360 degree views are definitely worth checking out, so don’t forget your camera. A perfect time to go would be late afternoon just before the sun starts setting so you get both day and night views over Melbourne. For more info go to www.eurekaskydeck.com.au. If you want to discover some hidden gems around the city then check out Hidden Secrets Tours – I’ve only just recently discovered this company and can’t wait to give them a try. They started off creating tourist cards with little ‘hidden’ places for people to find including bars, restaurants, shops etc and now have tours including The Lanes and Arcades Tour on which you’ll discover everything from well-concealed lofts with designer clothing to basement music stores. For more information check out www.hiddenscretstours.com. To channel your inner child, head to Luna Park in St Kilda. There are fairground rides galore and suitable for the little ones and big kids alike. St Kilda is also a funky area of Melbourne by the sea. The beach isn’t the best, but it’s a great place to hang out when the sun is shining and usually has a lot of different events like music festivals and parades during the summer months. Shopping – need I say more! Melbourne is a shopaholics paradise. From lanes, to boutiques, to malls, to retail outlets, Melbourne has it all. Just don’t blame me if you have to remortgage your house to pay off your credit card bill when you get home. And finally, there are some fantastic day/short trips right on Melbourne’s doorstep. If you love wine then a trip out to the Yarra Valley on the list. The famous wine-producing region on the coast about 45 minutes from Melbourne is home to more than 40 wineries. The Mornington Peninsula is also a great place to visit in the summer. It has some fantastic beaches and great places to stop off for lunch like the Portsea Hotel. The peninsula is the playground for Melbournians and a lot greener than the rest of Victoria. And last but not least, you can’t go to Melbourne and not head along the Great Ocean Road to see the 12 Apostles. I’ve been down there a few times now and usually stay in Port Fairy. 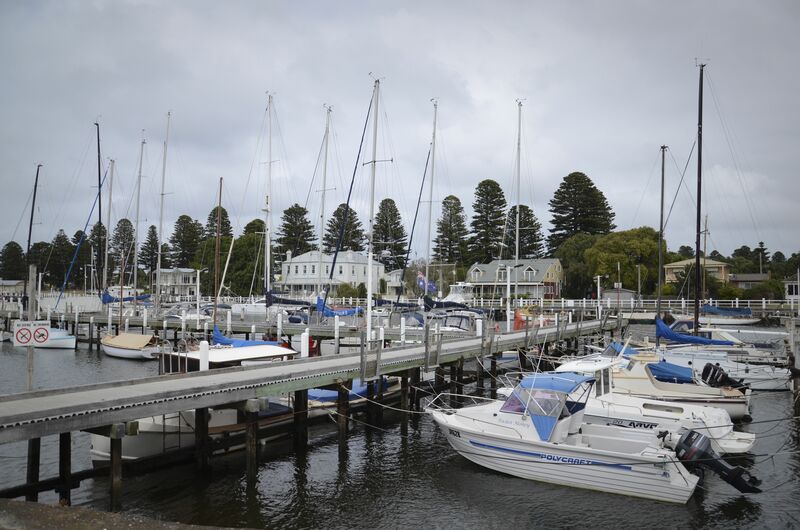 Why Port Fairy you may ask? Well because I looked at the map the first time I was going down the Great Ocean Road, sawthe name, loved it and decided I wanted to go head there to see what it was like. The town itself is small and quaint, and full of charm. I instantly fell in love with the place and I always go back and visit there any time I travel along the GOR. Definitely check out some of the inland routes though. There are beautiful forest areas and waterfalls that are waiting to be discovered, and well worth making the trip to see. Depending on the time you have you can go as far or near as you want along the Great Ocean Road before returning either the same route or choosing the in land route for a bit of variety. My friend has moved there for over a year now. She also studies in a school there in Melbourne. I shall recommend this to her. And of course, If I get to visit Melbourne in the future, I will surely eye on this list. Hey Chester – thanks for stopping by. 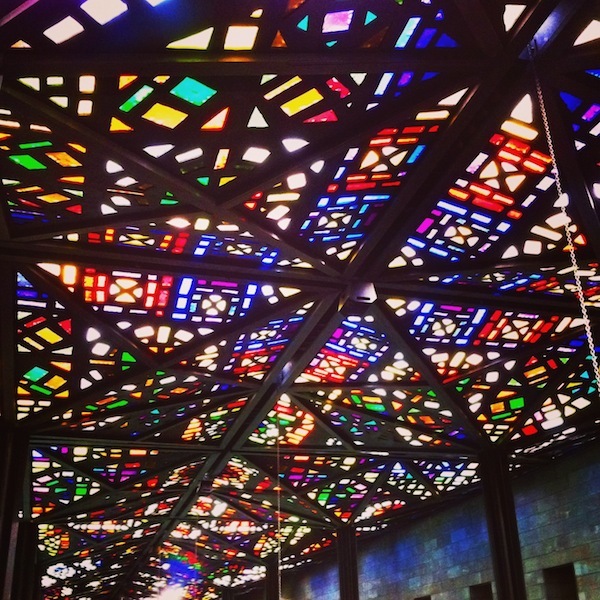 You should definitely make a trip to Melbourne one day – I love this city. What would be the first thing you’d want to do? No worries – I love this city. Do you live here or coming to visit? I will be changing blogs with an Australian blogger and will be heading to Australia in 2 weeks – love your Melbourne blog post, as it will come very handy, as I’ll be there as well… We might even meet? Cheers from Slovenia! Great list! There is so much to do in Melbourne, its hard to fit it all in! Some of these are on our bucket list, as well. The others we’ll have to add! We also have a good list of cheap things to do around Melbourne. Australia can get pretty pricey! Looks like you had a lot of fun! I can’t wait to get there. There are a few restaurants that I really want to visit.